8 Hour Shift = Whole Event Pass! We always need help with fundraising, setting up, and managing event operations. In turn this provides everyone a chance to be involved in the community. Think of it this way: The Barter Faire is providing the opportunity for you to barter your time for admission into the Faire! 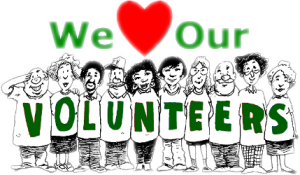 If you are interested in becoming a volunteer, please call our hotline at 541-592-4458, or contact us online through our Contact Form. NOTE: Volunteers are required to work two (2) shifts of four (4) hours to obtain a weekend pass to the Barter Faire!